Born and raised in northern Illinois, Trisha Conklin relocated to central Texas after marrying her best friend from college, Michael. It was during her time studying that Trisha gave her life to Christ. Her and her husband are now both full-time missionaries in every sense of the word. Their objective is to fulfill every mission the Lord gives them. Whether traveling to a foreign country or completing special projects He lays on their hearts, their desire is always to be as obedient to Jesus as possible. 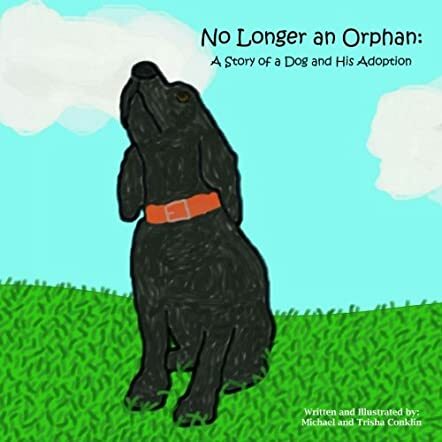 No Longer an Orphan: A Story of a Dog and His Adoption by Trisha Conklin is the charming story of Lucky, an adorable black puppy who is lost, wounded, and needs a home. When Lucky is found, he is taken where he can receive the care he needs to treat his wounds and help him begin to heal. The next thing Lucky needs is a loving family and, when he is adopted, he slowly learns to trust his new family and receive the love they offer him. This story is designed for children and is an allegory of the way Christ rescues us and heals our broken hearts and bodies. It demonstrates our need to belong and God's love and compassion for us. Lucky's story shows children how we are adopted into God's family where we are safe and loved. Trisha and Michael Conklin have created a well illustrated, sweet story that allows the young reader/listener to better understand the concept of belonging to the family of God. Besides being for parent and child reading, No Longer an Orphan would be ideal for the Sunday School classroom or Vacation Bible School story time. The end of the book offers discussion topics, complete with Scripture verses, designed for parents to review with their children to reinforce the concepts illustrated in the story. Trisha Conklin has provided parents and teachers with a delightful study tool that children will be interested in and is geared to be taught on their level.